Each of Windstar’s unique themed voyages offers you intimate access to some of the world's most exclusive destinations and events. 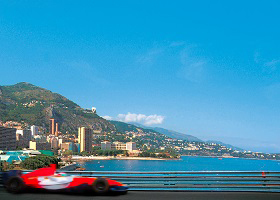 Experience the exhilaration of watching Monte Carlo’s Grand Prix from a premier grandstand seat. 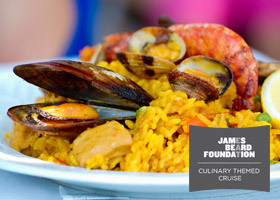 For the epicureans who want an expert’s tips on molecular gastronomy and recommendations on riojas in Spain, sail on a culinary-themed cruise with a James Beard Foundation chef and sommelier. These packages and voyages are custom made for exploration. Discover it all in Windstar's signature style. Enjoy the world’s premier yachting playgrounds in a beautiful small ship that feels like your own private yacht. These beautiful ports string together like perfect pearls, each glowing with its own special beauty. Sparkling cities and charming villages. Secluded harbors and immaculate beaches. Discover the mystique and magic of the Rivieras that only an intimate small ship can show you. Surrounded by glitterati on the glistening white Star Pride you fit right in; your insider’s experience at Monaco’s legendary Grand Prix the jewel in the crown of this exceptional cruise. Visit some of the world’s most glamorous ports — Portofino, St. Tropez, Sanary-sur-Mer, Monte Carlo — strolling famous promenades, shopping elite boutiques, and taking in world-renown beaches. Then during your overnight in Monte Carlo, enjoy exclusive access to special Windstar private Grand Prix events and two days of world-class Formula One® time trials and racing. 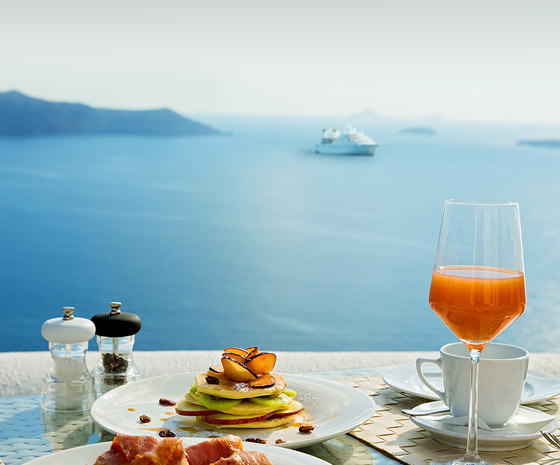 It’s the ultimate expression of Windstar’s style, and open to only a very limited number of guests. Combine Caribbean fun with Central American culture on this remarkable 10-day cruise that stretches from Florida to the landmarks and lesser-known small ports along the coastlines of Mexico, Belize, Honduras, Columbia, Costa Rica, and Panama. It’s a balanced blend of exciting activities and cultural experiences offering enlightening insights. Uncover little-known facts about Key West’s famous resident writers, including Robert Frost, Tennessee Williams, and Ernest Hemingway, or sail to the Dry Tortugas National Park on a fast catamaran for an afternoon of snorkeling among vibrant coral reefs, skeletal shipwrecks, and old nautical artifacts. Swim between stalagmites during a guided exploration of Rio Secreto, an underground river system, or take in the view from the top of an ancient Mayan pyramid at the prominent Cobá archaeological site. Clutch a comfy floatation device as you float down Belize’s Cave Branch River and into the shadowy recesses of ancient Mayan caves. Take a trip to a working Honduran farm in Campamento and sample a farm-to-table meal with a local Honduran family. Hike to a rainforest waterfall for a refreshing swim near Trujillo. Scan the treetops and dense undergrowth in Cahuita National Park for sloths, coatis, and iguanas. Snorkel and sunbathe off Red Frog Beach near the small port of Bocas del Toro in Panama, or board a boat for a short voyage to Bird Island where you can observe colorful tropical birds and coastal marine life. This exceptional journey ends near the Old Quarter of Colon, where you can shop for Panamanian souvenirs or make a trip to Embera Quera, an indigenous community living off the grid along the leafy banks of Gatun Lake on the Panama Canal. 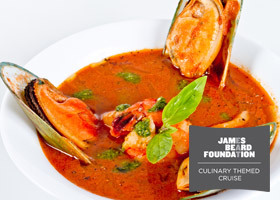 Ten days fly by as you take inventory of the west coast’s most intriguing ports of call and cuisines. Small ship-only moorages in places like Portland and Sausalito alternate with grand dames like Seattle, San Francisco and San Diego. Go wine tasting in Sonoma and Oregon’s Willamette Valley. Take a cable car to lunch in San Francisco’s Chinatown and taste wild California sardines at Monterey’s famous Cannery Row. 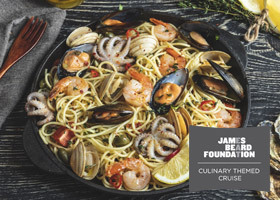 From food trucks to fine dining, farmers’ markets to cooking classes that put you at the heart of the action, this is a cruise for people who have a taste for life and a thirst for adventure. 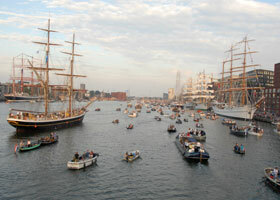 Surround yourself in the pageantry and majesty of parading tall-mast sailing ships at Sail Amsterdam, a special event that only occurs once every five years and is the largest nautical event of its kind in the world. This special cruise spends three days in Amsterdam among the splendor of this global event, anchored in the company of legendary sailing ships. You’ll have plenty to see, sample and celebrate along storied waterfronts, but make time to follow the countless canals past tall and tilting timbered shops and flats to verdant old world parks and stately museums housing shadowy masterpieces by Dutch Masters and vibrant, impressionist pieces immortalized by Van Gogh’s bold brushstrokes. 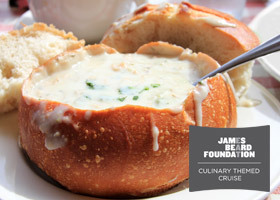 This one-of-a-kind cruise also explores historic ports and hallmark cuisine throughout Scotland, England, and Belgium. Stroll in the footsteps of Roman sentries on Hadrian’s Wall Path, the largest Roman artifact in the world. Discover the ancient engineering secrets of improvised fortifications made from turf, timbers, limestone, and sandstone along the longest line of defense in ancient Western Civilization. Sip and savor the citrus and spice notes in Belgian ales, the sweet richness of local chocolates and the rustic charm of Flemish farmhouses surrounding Ghent and Bruges. Your memorable journey concludes on the River Thames near London, where you should plan on making time for riding double-decker buses, eating fish and chips, and sipping countless malty, fruity caramel-colored iterations of classic English brown ales. Sail among the evergreen reaches of British Columbia’s unspoiled Inside Passage. Gaze awestruck as Alaskan glaciers rumble and calve beneath the glassy surface of Misty Fjords and Tracy Arm. Admire California’s rugged coastline as you indulge in flavorful alder-smoked salmon paired with aromatic Columbia Valley Rieslings or fresh oysters and tart, Los Carneros sparkling wines. Linger late among the Portland skyline, sampling strawberry and raspberry notes in Willamette Valley Pinot Noirs, and watch the evening fog roll into Sausalito over a plate of fresh crab. This deliciously detailed 22-day cruise offers ample time for wandering waterfronts, mingling in farmer’s markets and rediscovering Alaska’s wild frontier history.